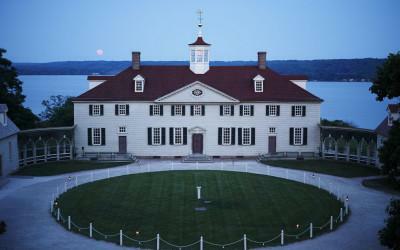 The Mansion at George Washington's Mount Vernon is one of the most iconic 18th-century homes in America. 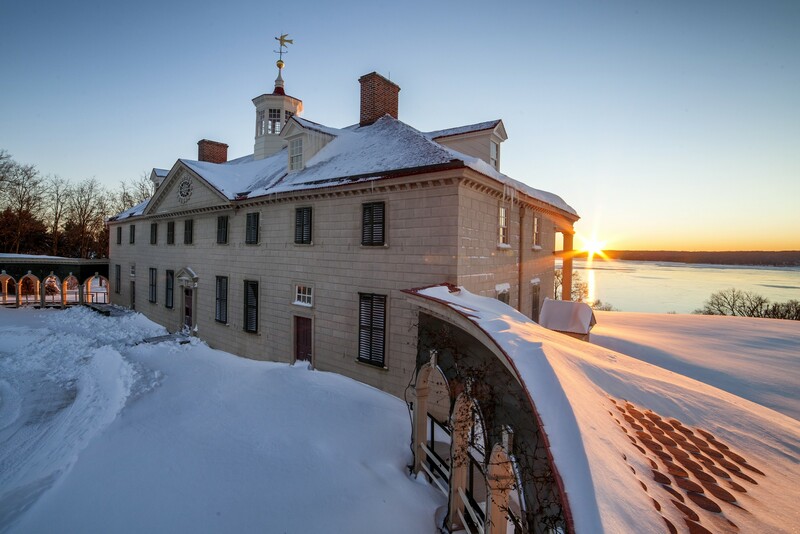 The building began as a one and one-half story house built in 1734 by George Washington's father, Augustine Washington, and received its well-known name from his half-brother Lawrence Washington. 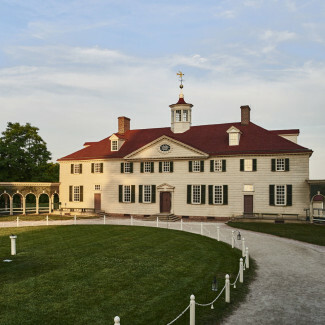 George Washington began running Mount Vernon in 1754, and over the next 45 years slowly enlarged the dwelling to create the 21-room residence we see today. 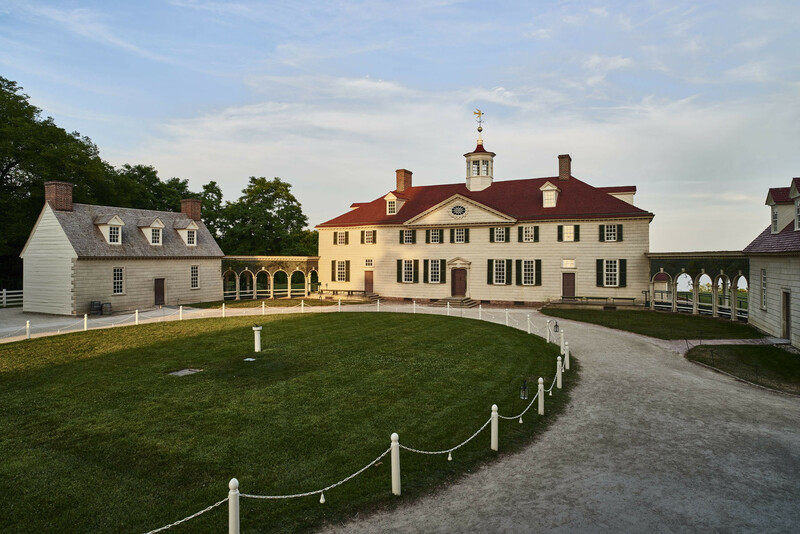 Washington oversaw each renovation, advising on design, construction, and decoration, despite being away much of the time. 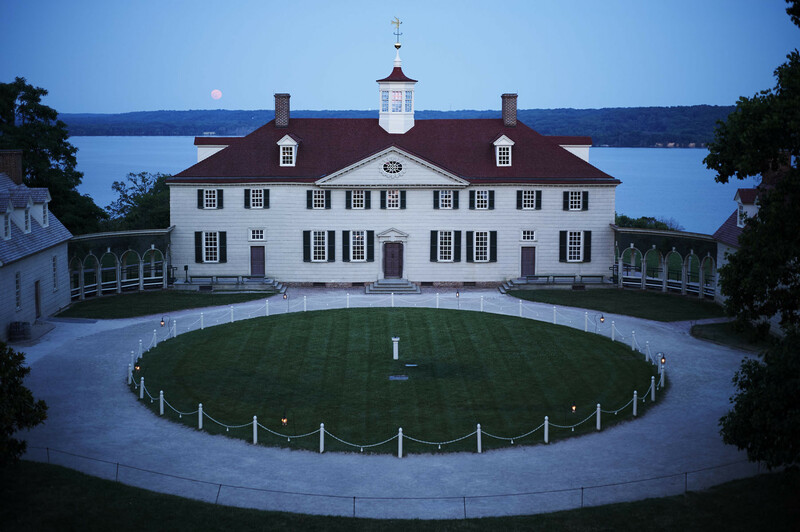 Conscious that the world was watching, Washington selected architectural features that expressed his growing status as a Virginia gentleman and ultimately as the leader of a new nation. The newly restored space is now open to visitors during their Mansion tour. 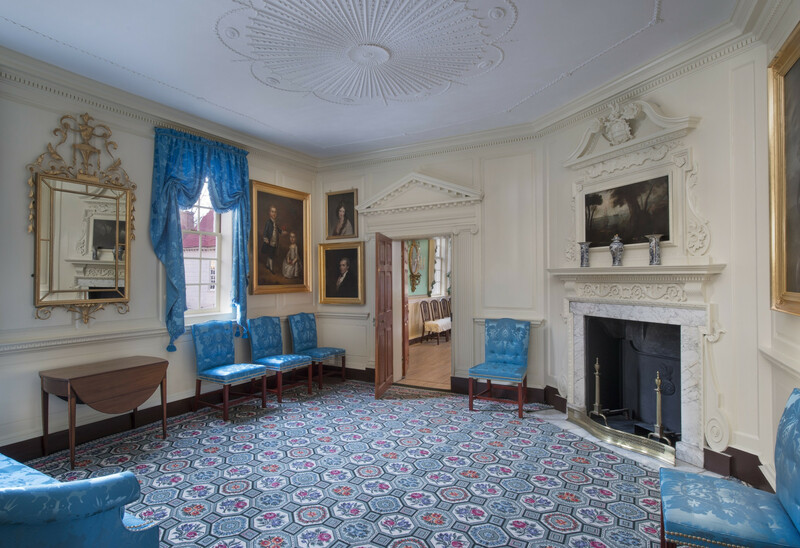 One of the most elaborately finished rooms in the house, the front parlor served as the primary entertaining space in the Mansion for most of the Washingtons’ lives. 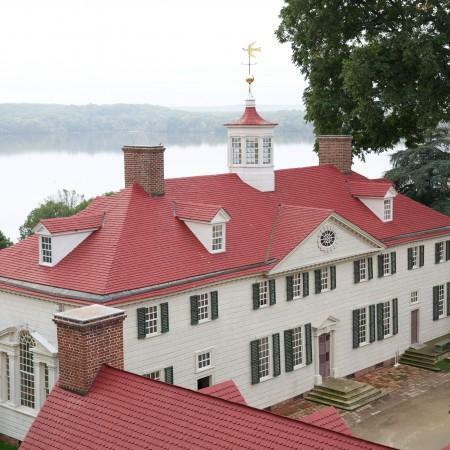 You can virtually explore the Mount Vernon Mansion. 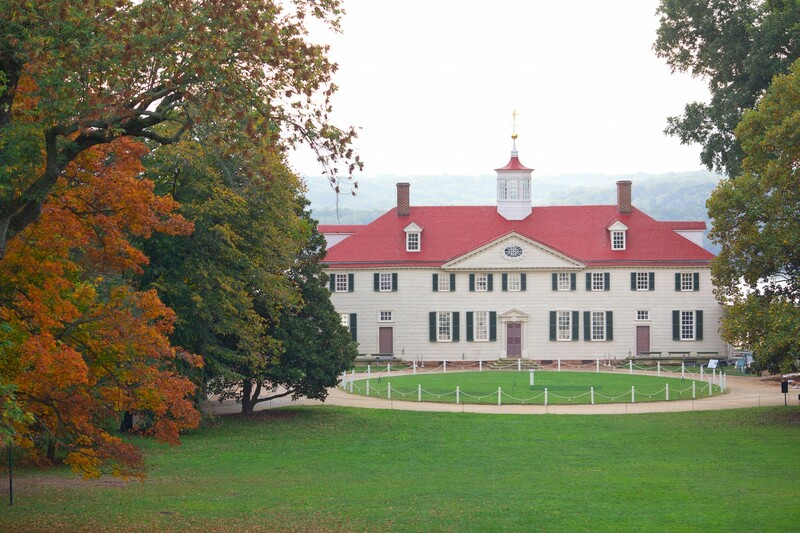 By his death, Washington’s Mansion was almost 11,000 square feet consisting of 21 room. 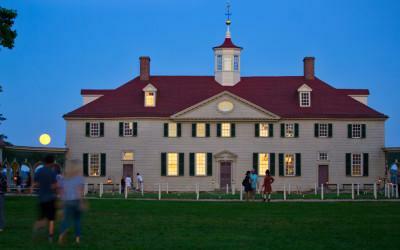 Did you know, despite George Washington's efforts, the Mansion is not symmetrical? 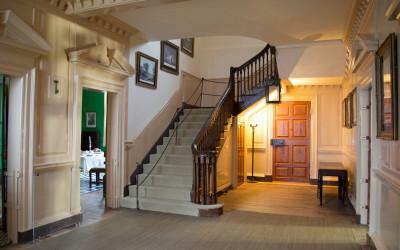 Added to the north end of the Mansion, Washington's New Room became the grandest within the house. 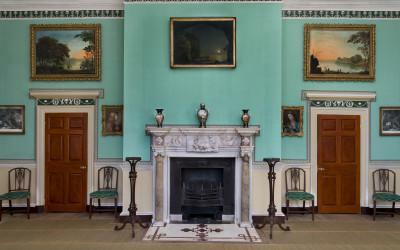 Blue textiles and wallpaper distinguish this room. 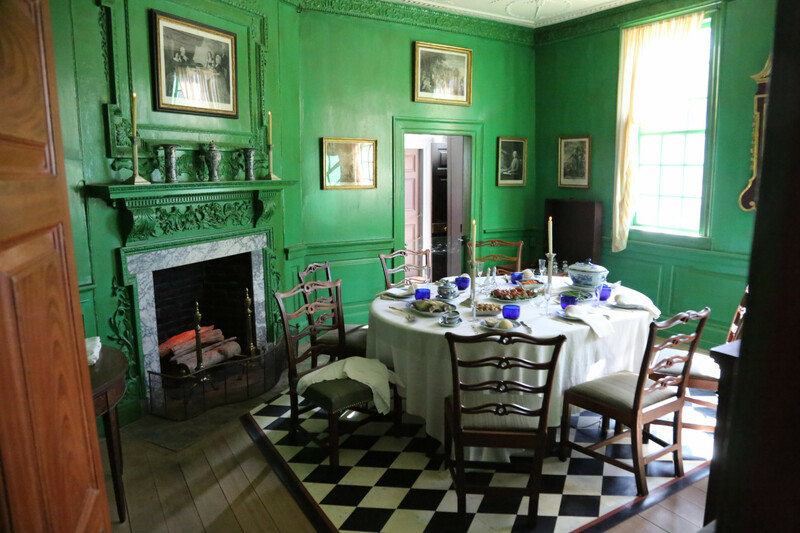 A unique mix of furnishings acquired over the course of the Washingtons’ lifetimes offered comfortable accommodations and an innovative Rumford firebox provided a warmer, smoke-free stay during the cooler seasons of the year. 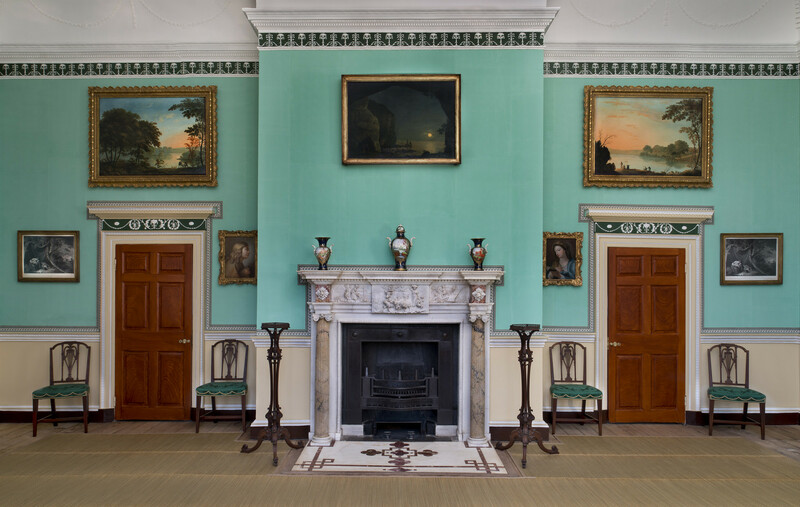 Located on the second floor this bedchamber's furnishings were inspired by the decorative arts of Asia, communicating the western fascination with the perceived luxury and splendor of eastern cultures. 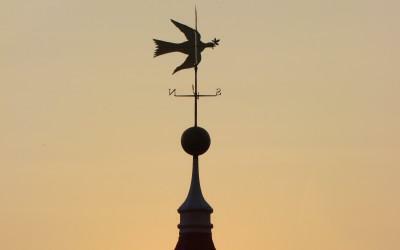 Learn more about the Mansion's famous cupola and the Dove of Peace weathervane atop it. George Washington's father, Augustine Washington, moves his family to the Little Hunting Creek plantation for three years. George Washington was about three years old at the time. 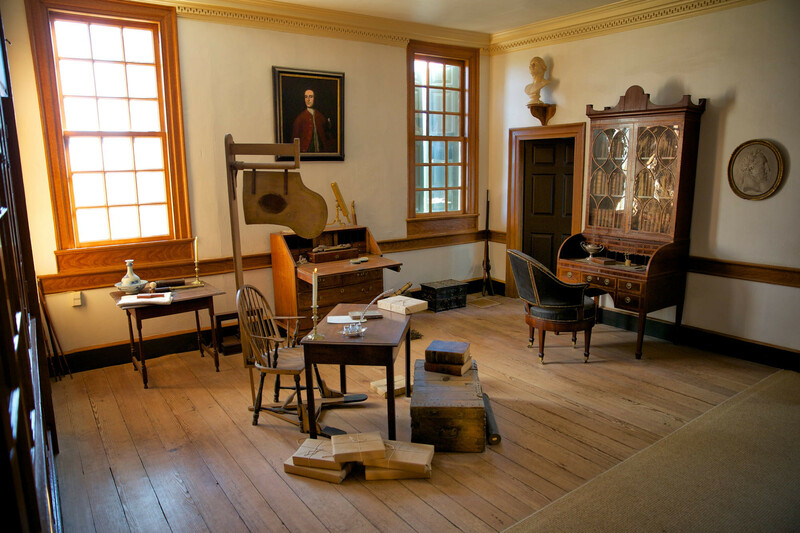 Dendrochronology, or the use of tree ring analysis to determine relative dating, shows the trees used to frame this section of the house were cut in 1734. 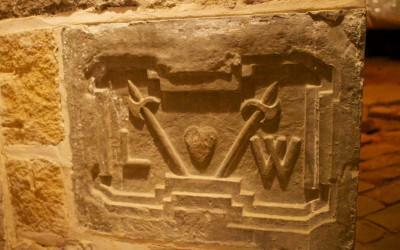 The original house likely consisted of four rooms and a central passage on the first floor and a garret. 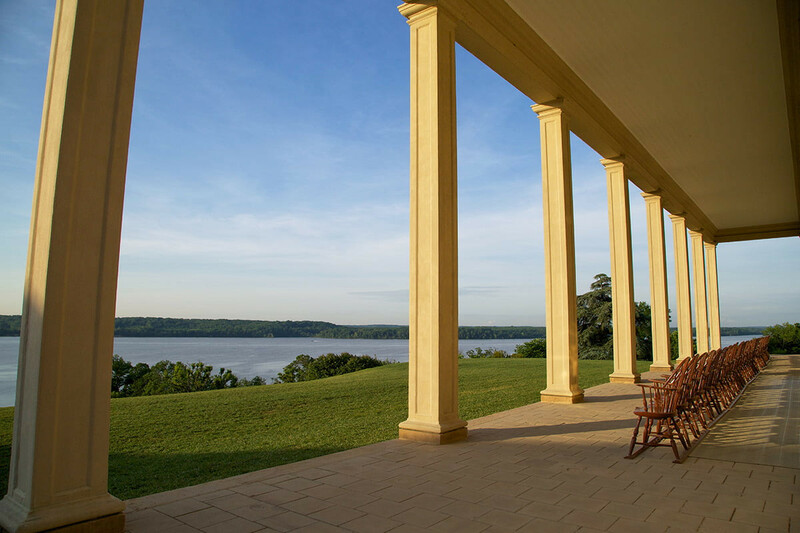 The family lived at Little Hunting Creek for a few years before moving to Ferry Farm, located across the Rappahannock River from Fredericksburg, Virginia. 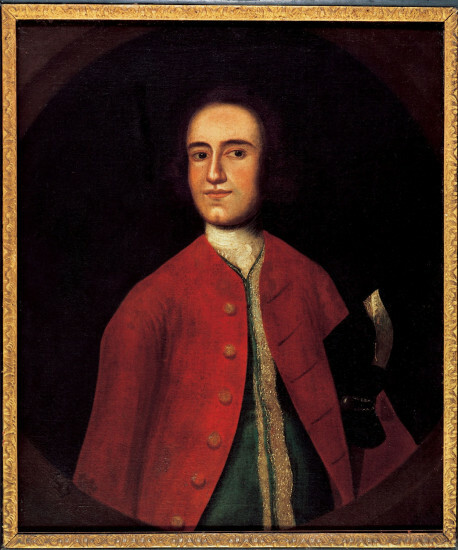 Augustine Washington dies leaving the Little Hunting Creek plantation to George Washington’s older half-brother Lawrence Washington. 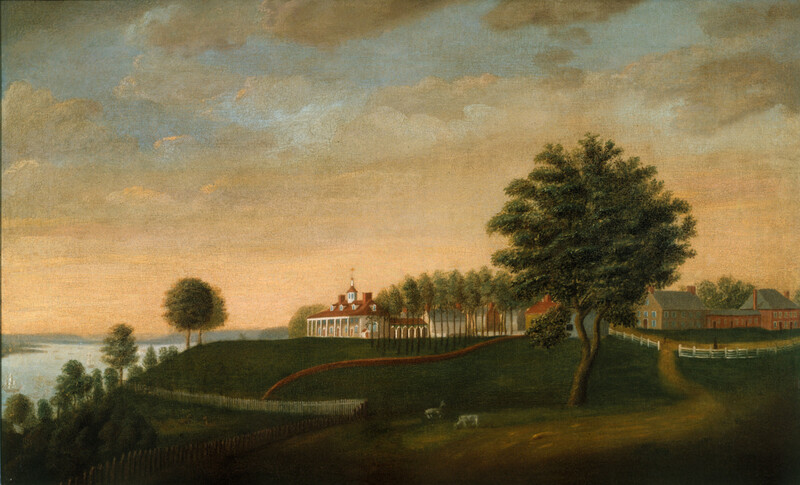 Not long after inheriting the estate, Lawrence renamed it Mount Vernon, in honor of Admiral Edward Vernon, his commander while serving in the Virginia Foot Regiments. 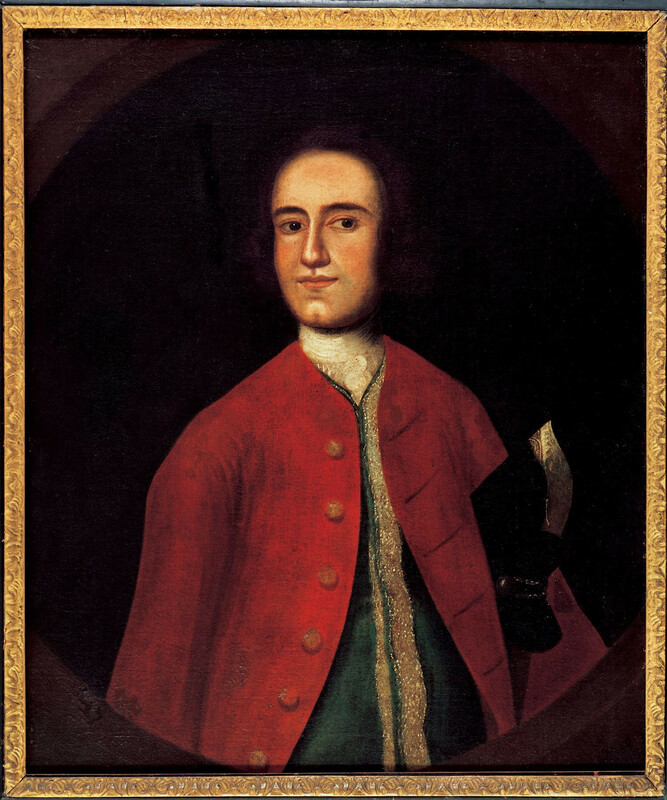 Lawrence Washington died of tuberculosis in July of 1752 and left Mount Vernon to Sarah, his only living child. 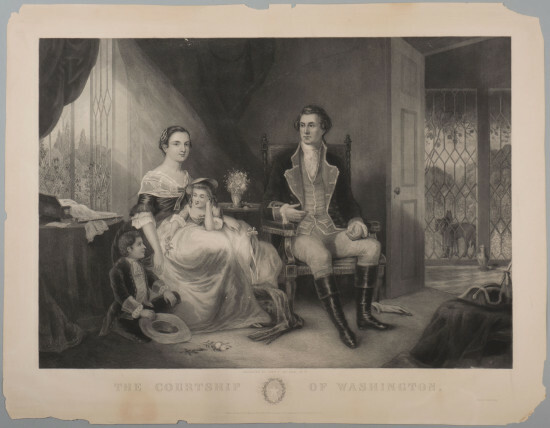 His will also stated that if Sarah died without offspring the property would go to Lawrence’s wife, Anne Fairfax Washington. 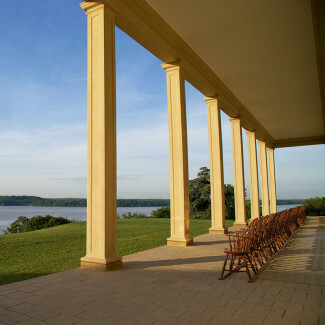 Sarah died only two years later without any children, so Anne inherited Mount Vernon. 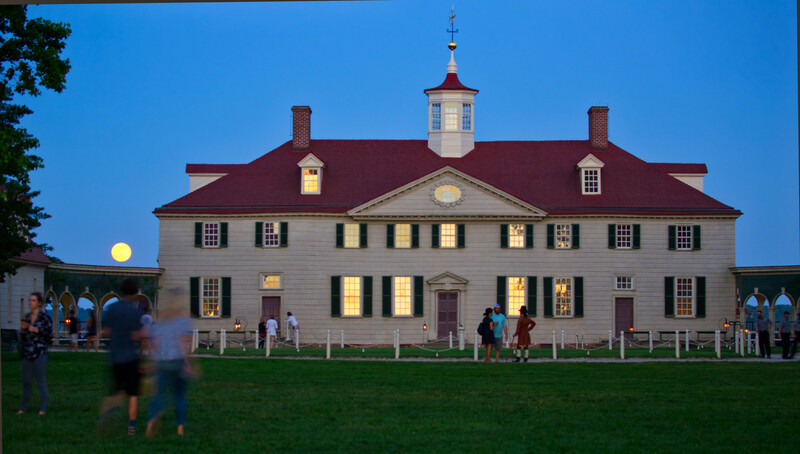 By this time, Anne had remarried and no longer lived at Mount Vernon. 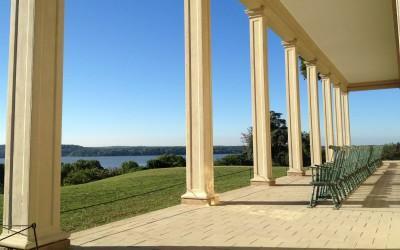 So, after taking ownership of the estate, she began leasing it to George Washington in late-1754. 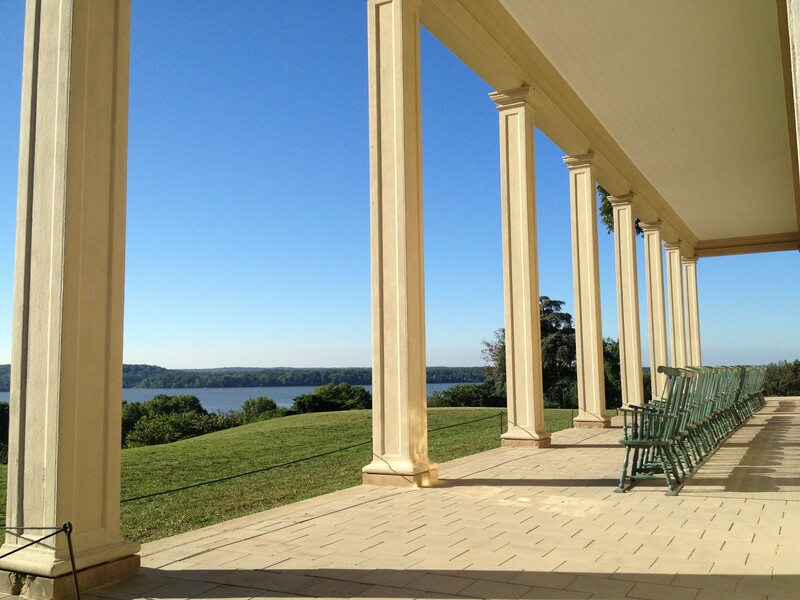 A further provision in Lawrence’s will stated that upon Anne’s death Mount Vernon would pass to George Washington. 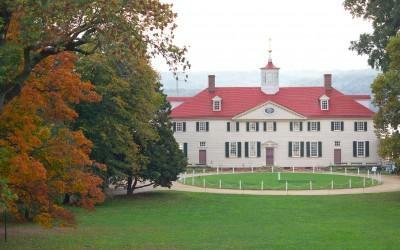 Thus, when Anne died in 1761, George Washington became the owner of Mount Vernon. 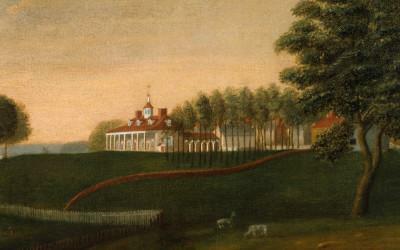 George Washington began expanding Mount Vernon while leasing the property. 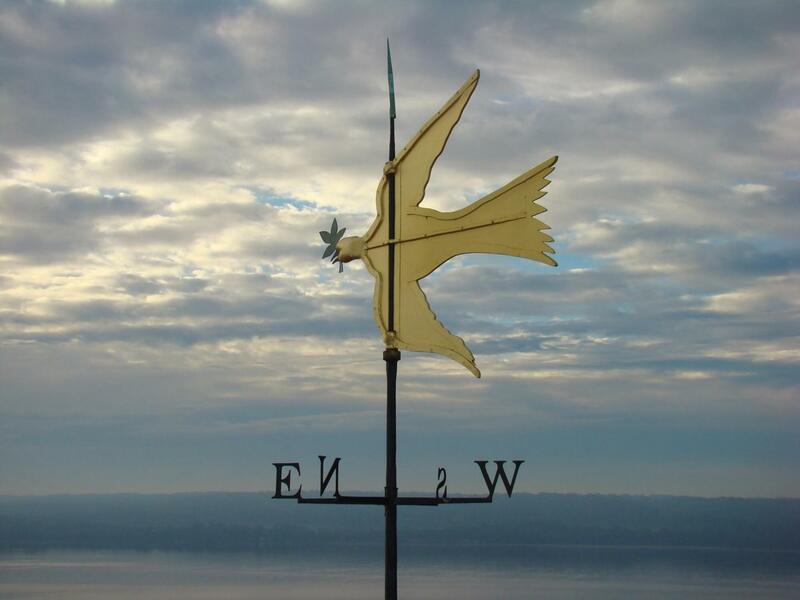 His first major expansion of the original one-story house with a garret began in the late 1750s. 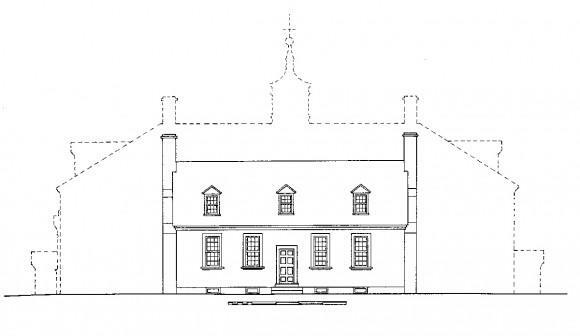 The roof was raised to create a full second story and a third-floor garret. 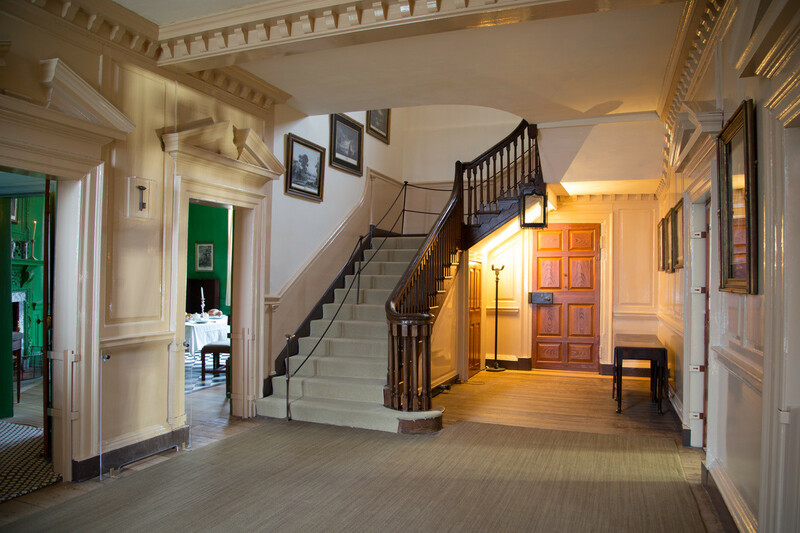 While Washington likely left the footprint of the first floor largely intact, he reconfigured the staircase and the second-floor rooms. 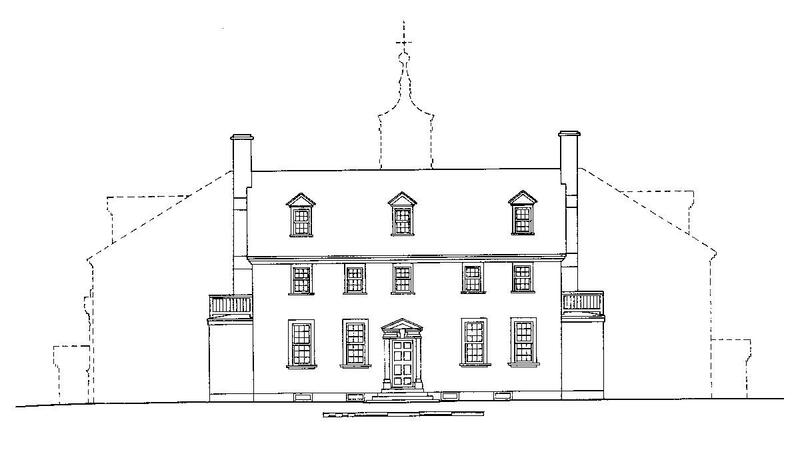 In addition, ‘Closets,’ or one-story extensions, were added on the north and south ends of the house. 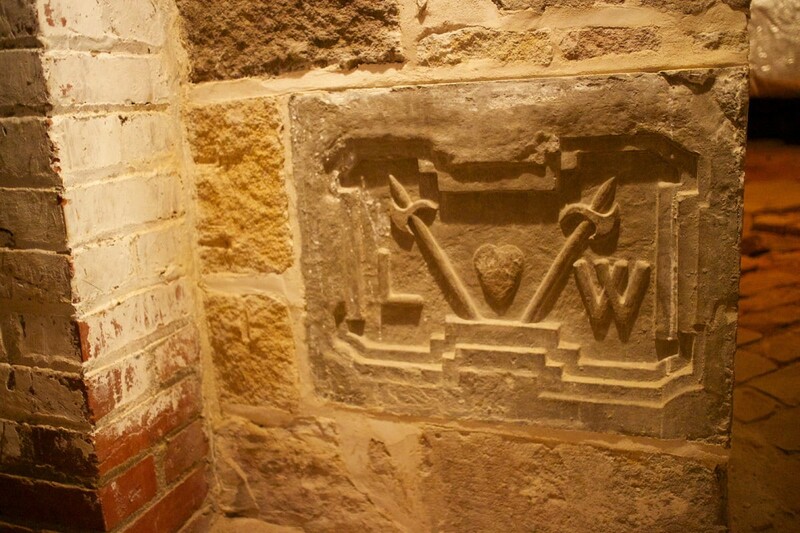 Additionally, an entry in Washington's diary reported the house had four principal dependencies attached to the main house by "Pallisades" on low brick walls. 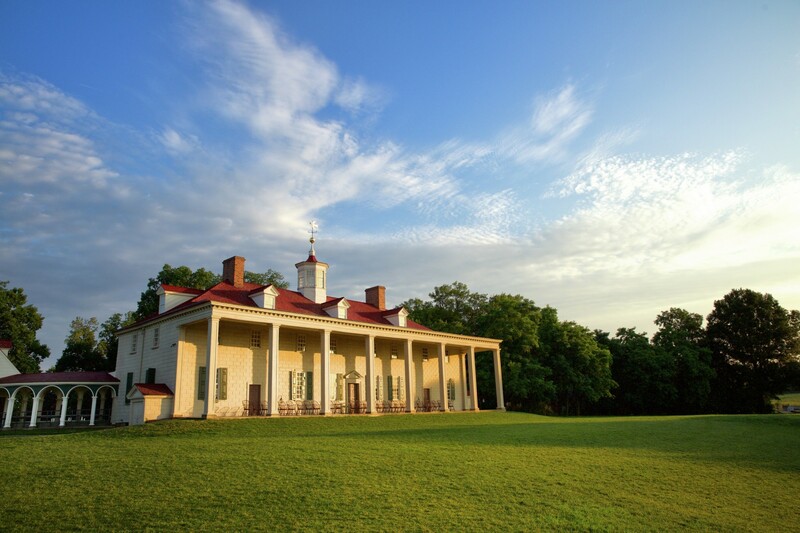 Upon the death of Lawrence Washington’s widow, Anne, George Washington becomes the owner of Mount Vernon. 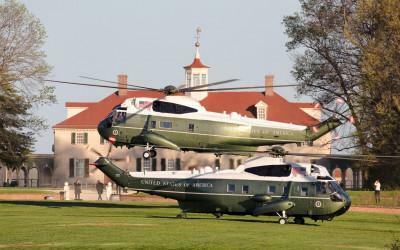 The second expansion began in 1774. 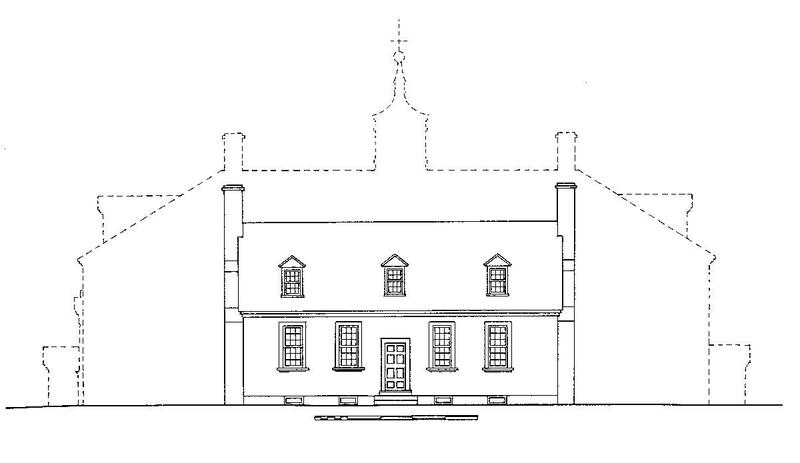 First, a two-story addition was added to the south end of the house. 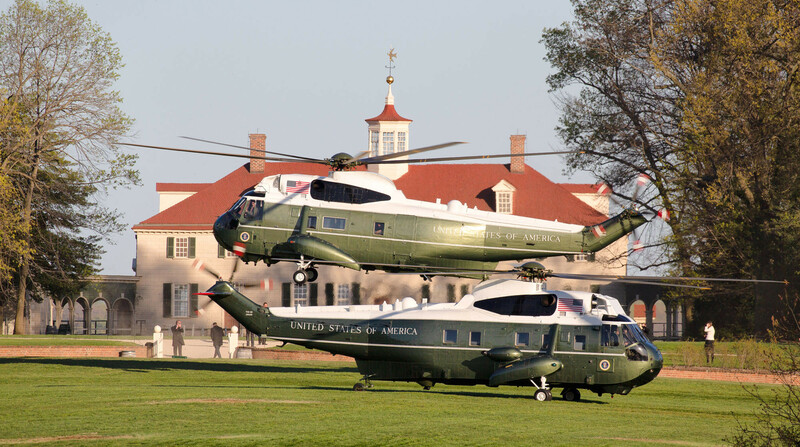 It contained a study for Washington on the first floor, small service spaces on either side of the study, and a bedroom and dressing rooms for himself and Mrs. Washington on the second floor. 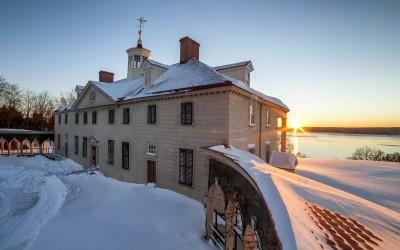 This addition was completed in 1775. 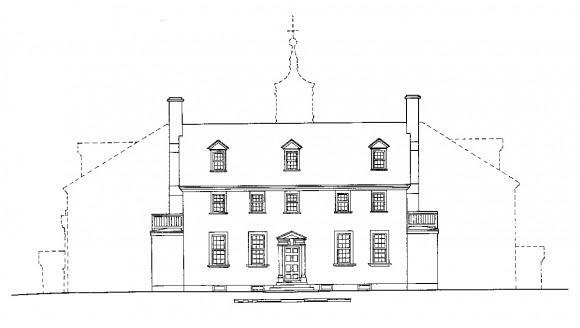 The north end was also expanded to include a large two-story entertaining space called the New Room. 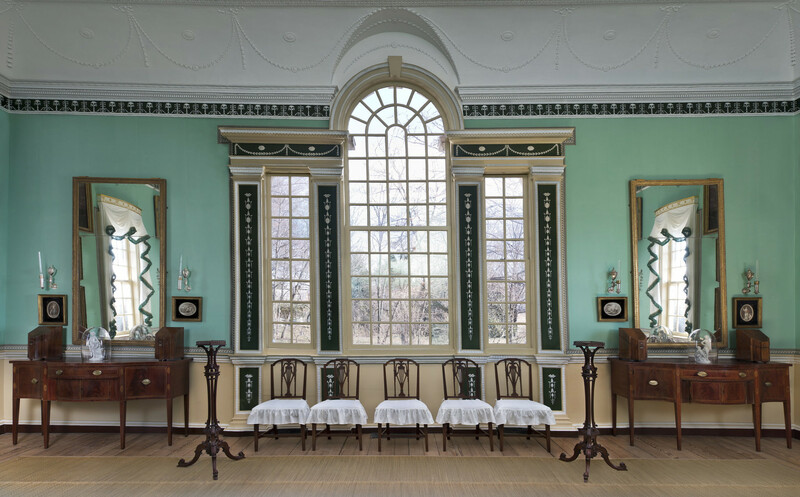 With its two-story-high ceiling, detailed architectural ornamentation, and stylish furnishings, the New Room intended to convey unpretentious beauty and fine craftsmanship, qualities Washington believed communicated the new nation’s values. 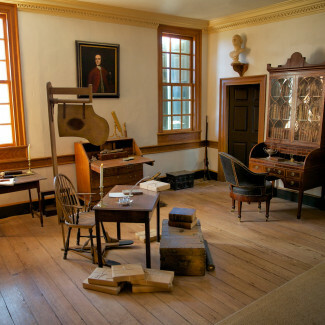 The General summed up his ambitious goals for the room in a letter written while he was away fighting in the Revolutionary War: “I would have the whole executed in a masterly manner.” While the north wing was started in 1776, its interior was not completed until circa 1787. 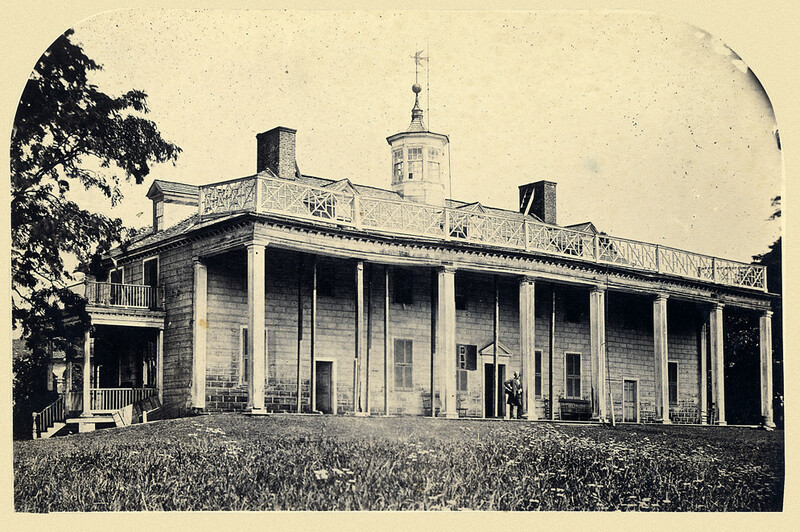 Additionally, the house received several impressive features: a large pediment with an oval, ox-eye window, a cupola, and a two-story piazza along the east façade. 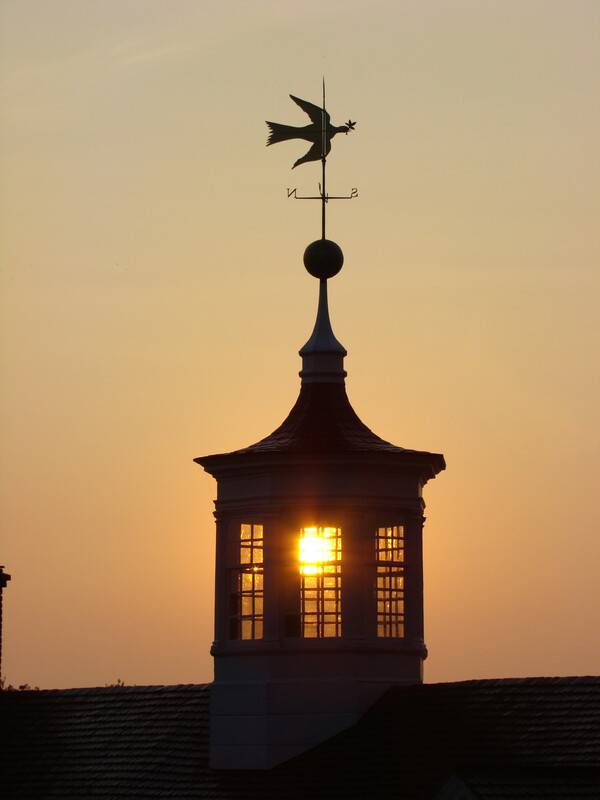 While a classically-inspired pediment was not an unusual feature on large houses of the time, cupolas were not commonly found in domestic architecture, being more associated with public buildings. 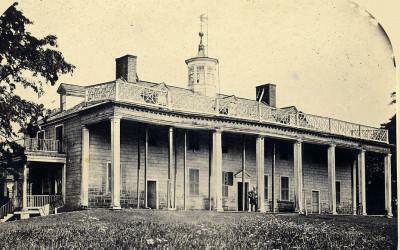 And, while small porches could be found adorning houses throughout the colonies, the Mansion’s full-width, two-story form was unique. 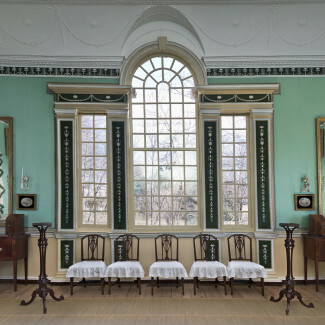 George Washington frequently referred to this room as "Mrs. Washington's Bed Chamber," and it was her most private space. 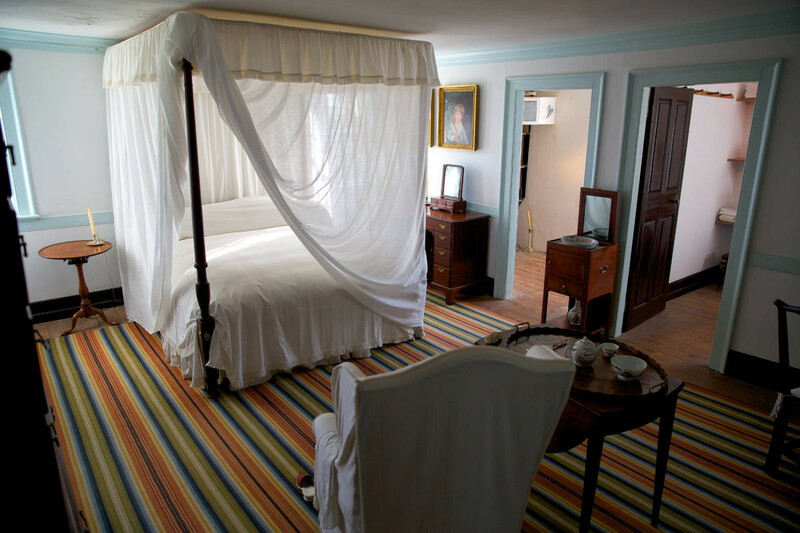 Unwilling to remain in the bedchamber where her husband died, Martha Washington retreated to a third-floor garret bedchamber. 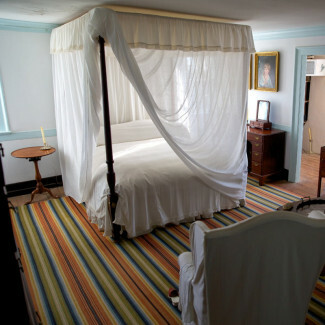 The Downstairs Bedroom served as a bedchamber as early as 1759 and was used as one throughout George Washington's life. 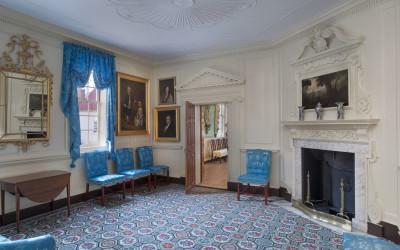 Once built, this room served as the center of Washington's personal and professional operations. 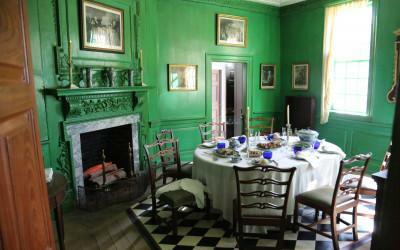 George and Martha Washington knew the Little Parlor as a bedchamber for most of their residency. 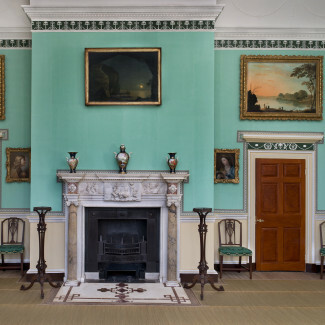 Towards the end of their life, the room transformed into a parlor. According to an inventory, the kitchen contained a wide variety of cooking equipment, including pots and pans, skillets, a griddle, a toaster, a boiler, spits, chafing dishes, tin and pewter "Ice Cream Pots," coffeepots, and strainers.